The following is taken from weekly e-mail from George Friedman, head of STRATFOR, a global intelligence company. In summarizing his new book, The Next Decade, he has some extremely interesting insights about the challenges facing the US empire and the similarities between ancient Rome and the contemporary US. The first is the idea that the United States is an unintended empire of vast power, deeply interlocked with the affairs of most of the world. It is not a question of whether Americans want this empire; it is impossible to let go. The question is what to do with it. Like a child you did not expect and may not have welcomed, it is still your responsibility. The second concept is what I call the Machiavellian Presidency. I consider three presidents exemplary: Lincoln, Franklin Roosevelt and Reagan. Each possessed a deep moral core. Each fully understood the uses of power, lying and violating the Constitution and human rights to achieve the respective moral necessities of the abolition of slavery, the destruction of Nazi Germany and Imperial Japan, and the destruction of the Soviet Union. When we recall that Roosevelt allied with Stalin to defeat Hitler, we capture the Machiavellian President. The United States has stumbled into empire. It now faces the crisis of Rome that the empire will annihilate the republic. I argue that of all the institutions of our Constitution, it is the president who can preserve the republic while managing the empire. I also argue that the greatest threat to the republic is living in denial about what the United States has become. The issue, then, is how to manage the unintended and unwanted in the next decade. 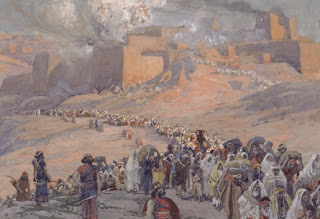 Many interpretations which link Jewish prophecies to contemporary geopolitics rest on a connection between ancient Rome, called Edom in the Bible and rabbinic thought, and contemporary Western civilization. The Jewish people experienced four exiles: Egypt, Bablyon, Persia (Iran), and Edom--the last and longest one, which characterizes the present state of Jewish exile: material abundance, subordination to Western values, assimilation, a seeming sense of freedom and success that totters between spiritual depravity and messianic potential. As far as the forces of Egypt, Persia and Bablyon, we await to see the complete annihilation of their influence over us. However, when it comes to Edom, which is represented by Jacob's brother Esau, we anticipate the day when Edom will do teshuva (return). Edom's negative aspects are redeemable, and with the proper orientation, Edom is the last step and therefore a springboard to geulah (redemption). On this note, it is interesting that this week has been full of news of anti-Semitic outbursts: Assange, Galliano, Sheen...The 'Jewish conspiracy' threorists are alive and well. On the one hand, these malicious outbursts are abominable and worthy of punishment, and Dior should be commended for immediately firing their top designer. On the other hand, the deeper truth is that Edom and all of its success has everything to do with the Jewish people. The world was created for Israel, and we have a role to serve. Before God reveals himself to the Jewish people at Mt. Sinai, He tells Moses that the Jewish people were chosen to be a nation of Kohanim, or priests. Just as the role of a priest a the Temple was to bring God down to the people, and to raise the people to be closer to God, so the role of the Jewish people is to bring God into the world and to bring the world to God. And every being will know that you brought it into being, and every creation will understand that you are the one created it, and all that has breath in his nostrils will say, God of Israel is King, and his kingdom rules over everything. Will millions of Muslims march to Israel? Sarah Palin to visit Israel...on Purim! March 9, 2011: Turning Point? Did Obama dream his own Gog prophecy? San Francisco = Soviet Russia?